There are a variety of ways to stay strong and healthy even as we age, among them, getting enough exercise, eating right, and taking vitamins. Studies have revealed that social interaction also plays a key part in helping us live a long and healthy life. It’s normal for adults to interact with people on a daily basis. Seniors don’t have as much opportunity for social engagement, however, and usually find themselves either moving away from family and friends, retiring from their jobs, or staying at home. Living alone can potentially have severe consequences on one’s health and well-being. For instance, it could cause loneliness and isolation, which would eventually lead to depression when ignored or overlooked by family members. This gives us a clearer picture of how vital companionship is to seniors. Not only does it helps provide assistance with daily living activities and self-care tasks but also helps bring dignity, independence, and meaning back into the lives of the people we love. The section below discusses the three meaningful advantages of companionship. eniors living by themselves are often hesitant or afraid to engage in the activities they used to love. Their physical health decline has made them more concerned of their safety, which is typically the reason why they stay put and not engage in anything that may risk them tripping and falling over. This can be a huge knock to their independence as they always have to rely on family members coming over and helping them out. Friendly companionship services provided by home health care agencies like Galaxy Home Health Care LLC is just the solution seniors need. These services are delivered by highly trained caregivers who provide everything from minimal supervision to complete hands-on assistance, depending on what clients need to maintain their dignity and independence. Some older adults who have suffered through a lot because of their old age don’t necessarily have the best views about the world. The fact that they remain isolated most of the time does nothing to improve their perspective either. With companionship, however, the icy walls around their hearts will eventually thaw as they would have someone to talk to and share stories with, someone who would slowly change their perspective in life, and show them that there’s still so much to live for. Being old, sick, and alone would hardly give anyone peace; not the person himself and certainly not his family. When one is isolated from the society, it further exacerbates everything he’s already experiencing. Companionship gives seniors that social connection they’ve been craving while at the same time provides them with safety and security. This is a good thing for family members too since they would be able to go to work and live their lives without the burden of a heavy heart and at peace in the knowledge that their elderly family members are in excellent hands. 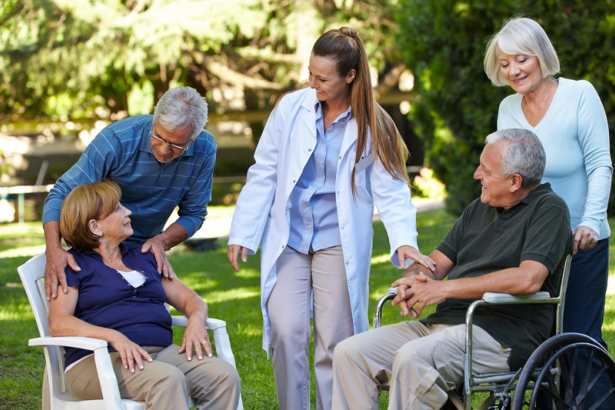 Galaxy Home Health Care LLC, a provider of home health care in Alexandria, Virginia delivers top-notch companionship among a plethora of services that bring meaning back into the lives of your elderly loved ones. We’d be happy to attend to your needs today. Feel free to call or drop by our agency with your inquiries. This entry was posted in Home Health Care and tagged Companionship, health care, Senior care. Bookmark the permalink.